Health is one of the prime requirement of any city. Health services and infrastructure are prime factor in determining the progress of the state. In developing state like Jharkhand health services play crucial role in saving the life of those suffering from chronic diseases. The Govt of Jharkhand is also taking all necessary steps to ensure better healthcare of the citizens in different parts of state. Hazaribagh one of the important part is also benefiting from several healthcare schemes of the government.Apart from that there are numerous hospitals spread across the city ensuring timely assistance to the sufferings. Below given is a list of accredited a hospitals in Hazaribagh rendering healthcare services to those in need in the city. 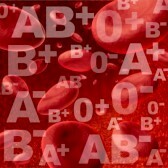 Blood banks are extensively needed at the time of emergency. Be it the case of any accident or any other injury or operation. Situations can go out of hands if one does not have proper knowledge of blood banks when met with any fatality in the city. Though Hazaribagh does not have many blood banks , but there is one blood bank serving the people. Require blood AB+ on urgent basis. Pls help me.